Silicone Tubing – We can offer a market-leading portfolio of Silicone Tubing. Including Saint-Gobain Performance Plastics Sani-Tech®, Pure-Fit® & Tygon ranges. Not to mention the most recent formulation Sani-Tech Ultra that was developed with single-use applications specifically in mind. 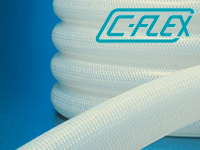 C-Flex® Tubing – C-Flex® products are the most recognised branding of tubing, we can offer their trusted range of standard braided & ultra biopharmaceutical tubing. A TPE tubing which offers the ability to weld and seal, as well as offering a lower permeability that platinum cured silicone tubing. Sanitary Silicone Hoses – We can provide an extensive range of Saint-Gobain Silicone Hoses. Including heavy duty, multi-ply, braided & wire-reinforced options. 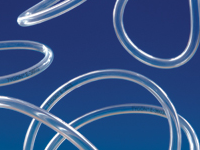 Laboratory Tubing – Our offering of Laboratory tubing allows us to meet your exact process requirements, away from the standard silicone tubing ranges. We work with you to find the perfect solution to your application. 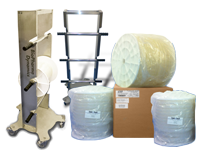 BioPharma Dynamics Tube Spool Stand – ￼The BioPharma Dynamics tube spool stand is an innovative solution which allows the easy unreeling of tubes. Allowing you to organise your work area, enhance productivity & reduce damage.